Rochester Magazine readers voted on the best sandwiches in Rochester, MN, and these eight scrumptious creations were the winners. 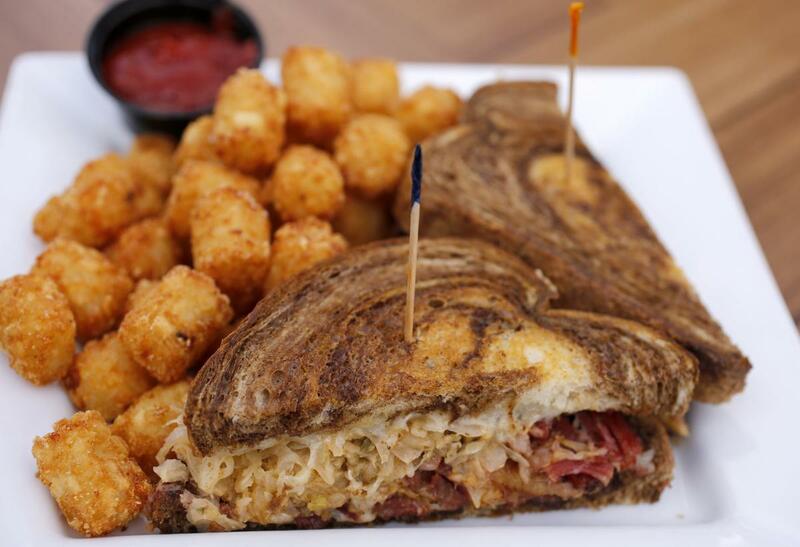 Feast your eyes on these wow-worthy sandwiches, lovingly created and expertly prepared by the chefs and sandwich-masters at eight outstanding restaurants in Rochester, MN. The Canadian walleye is what puts the Canadian in Canadian Honker restaurant. Owner Joe Powers and family sell a lot of it, and the sandwich is a beauty—a thick fillet of fish fresh from Lake Winnipeg, hand-dipped in beer batter and lightly deep-fried, topped with shredded lettuce and tomato, Thousand Island dressing and a tangle of crispy onions rings. The Honker is real Rochester—nice but nothing too fancy, friendly, with reliably good and reasonably priced food, served hot and fast. They’ve been doing this for more than 30 years and they have it down to a science. And no one else has Bunnie’s Coconut Cake, the famous white sheet cake with creamy coconut icing, topped with a maraschino cherry. Go there for the sandwich, but don’t leave without cake. The last thing you expect to find in a food court is a rib roast, guarded by a chef ready to carve out a rare slab for your sandwich. 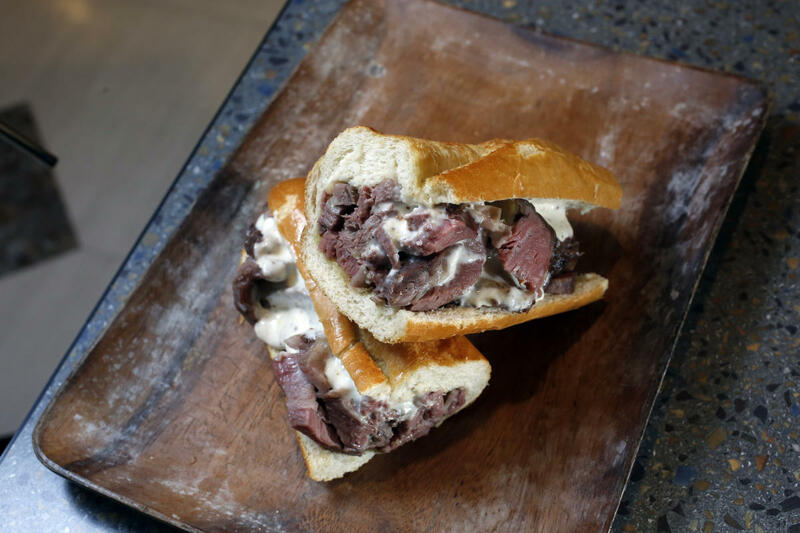 It’s juicy, flavorful, not fatty prime rib, wrapped in an awesome butter batard—a short baguette—with horseradish and parmesan sauce. A word to the wise: It’s best to get to ZZest early in the lunch hour to assure that you get your prime rib, and to get a more rare cut. One of the beauties of having ZZest’s gourmet market downtown is that you can choose from dozens of hard-to-find crackers, chips, and drinks to go with your prime rib sandwich—and pick up cheese and other fresh items for dinner at the same time. It’s only on the lunch menu, so plan ahead (and if you’re late for lunch, be plucky and ask them to hold one for you). 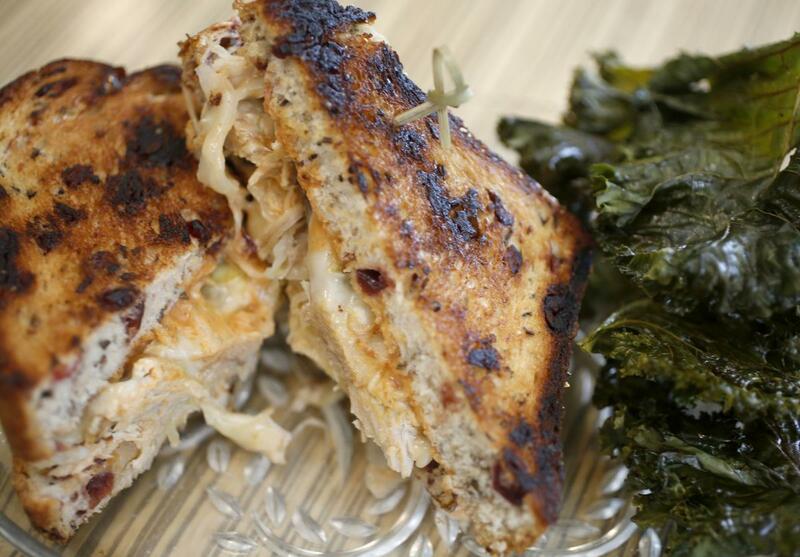 There’s no doubt it’s rotisserie—the chicken has that distinctive slow-roasted, wood-fired flavor. And they’re Minnesota birds, hand-rubbed before they go on the merry-go-round. Served with au jus and a seasonal veggie. The chipotle ranch sauce, fired with cayenne pepper, draws out the wood-fired flavor, and the chicken is packed into a chewy baguette that’s perfect for soaking up the juices. Chester’s has been Rochester&apos;s go-to, metro-style bar and restaurant for more than nine years—and while other places have come and gone, it remains as fresh and popular as ever. Five West has at least three great sandwiches on its dinner menu (leaving aside burgers). The sesame tuna gives this one a run for its money, but the pepper jack cheese and slices of avocado put the blackened chicken and avocado melt out front. 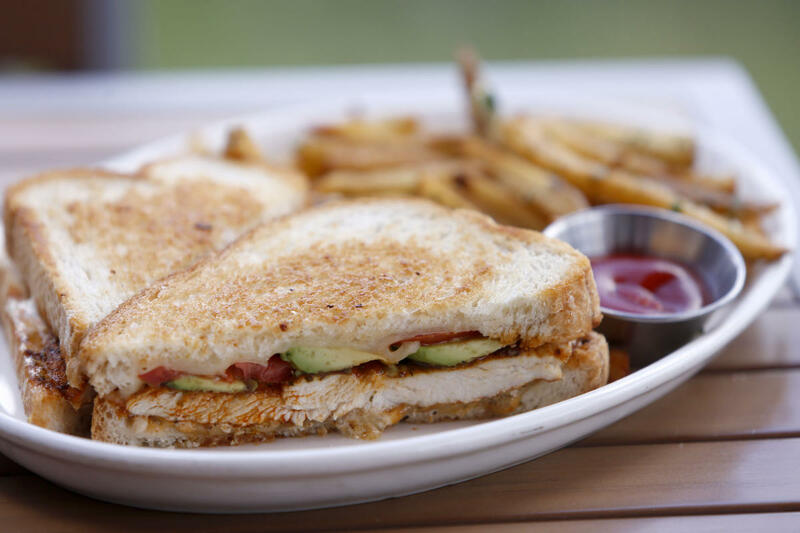 The chicken breast is pounded flat, lightly blackened with Cajun spices, seared, then served on sourdough bread with cheese, tomato, avocado, and a zigzag of garlic aioli. Five West&apos;s atmosphere is glamorous and energetic, with an open bar in the middle of the room, an open kitchen, and quiet areas for dining and conversation. Outside, Five West has one of the biggest and best patios in Rochester. The wraparound deck gets awesome late-day sun—your chicken-avocado sandwich will glow like a bronzed lifeguard. The outdoor bar has TVs, the gas-fired tables take the chill off at night, and the millennial people-watching is good. 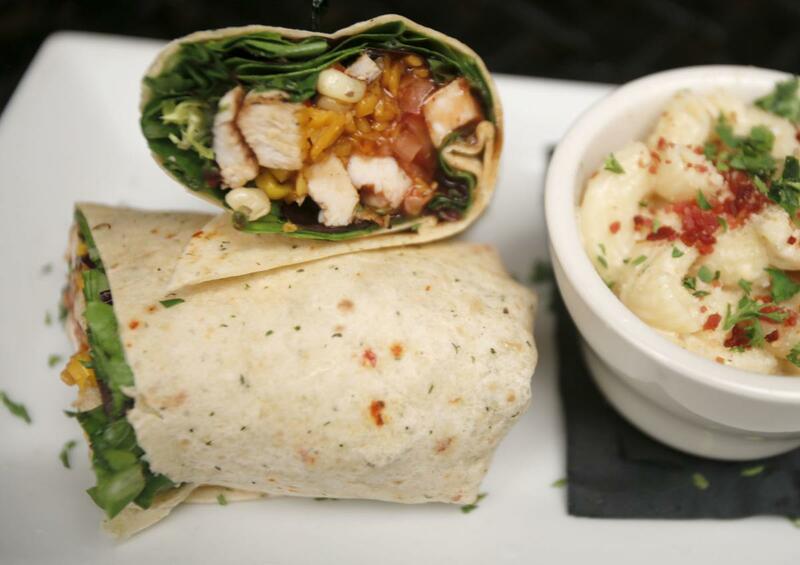 The Midwest Chicken Wrap is a perfectly-proportioned combination of marinated chicken, shredded cheddar, corn salsa, lettuce, tomatoes, and barbecue sauce. Tack on a cup of Mac ’n’ Cheese, filled with big pasta, smoked gouda, prosciutto, and breadcrumbs. For sandwich-lovers who avoid wraps because they tend to fall apart into a messy pile, Half Barrel has figured out how to make a tight, architecturally structured wrap that holds together and keeps the texture of ingredients from start to finish. One of the secrets: They don’t overdo the dressing. Then there’s the whiskey: Half Barrel has more than 400 bottles of whiskeys, from bourbon and Scotch to “world whiskeys” from Japan and Taiwan. Among hard-to-find Scotch: an ultra-peaty 32-year Laphroaig for $150 a glass. The bourbon rarities are topped by Jim Beam Distiller’s Masterpiece ($35), but what goes best with a Midwest Chicken Wrap? You can’t go wrong with a $5 glass of Four Roses. You may think of Rachels as the poor cousins of Reubens, but Tonic will change your mind about a lot of things, including kale and quinoa. 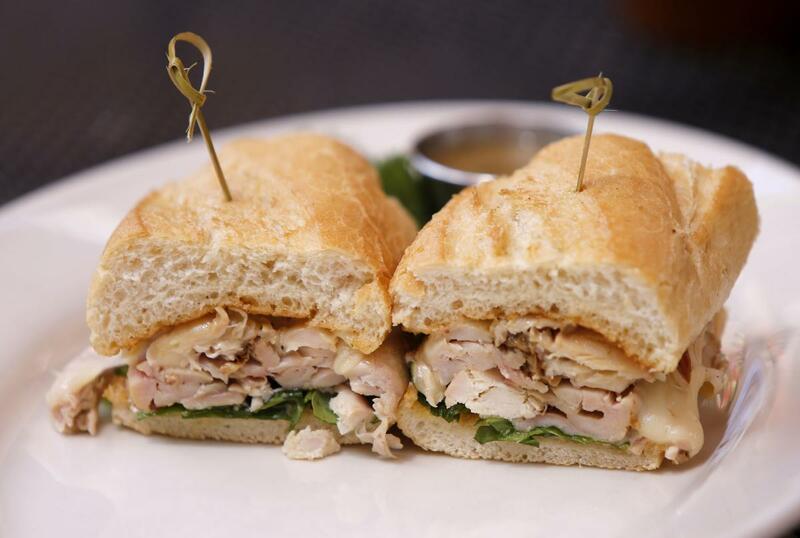 Their Rachel is built around local roasted turkey, house-made sauerkraut, scratch Thousand Island dressing, baby Swiss, and locally baked cranberry and wild rice bread. I assure you, the latter isn’t from a convenience store. Just about everything on Tonic&apos;s menu is locally sourced or house-made, from the sauerkraut to the kale chips, and this is not just a marketing gimmick—it’s part of everything they do at Tonic. The chicken is locally raised, and nitrate and sulfate free. Organic produce and meats come from the Farmers Market—via Shepard Buffalo Farm, and Misty Meadows. Tonic uses eco-friendly paper straws in the drinks and paper takeout containers. Good local food and sustainability is what owner Nicci Sylvester and family do here. Go for the full, two-handed sandwich, with a generous portion of rich, thin-sliced corned beef, tangy sauerkraut, and hot cheese, grilled on marble rye. It’s a beauty to look at, and it’s served with house-made, whisper-thin kettle chips (or opt for the tater tots). For adventurous eaters, stick your neck out and try the Ostrich Smashburger on Fridays. Wildwood has tempted local appetites with exotic meats since it opened in 2012. A few months ago, they were serving Ethiopian Camel Burgers—maybe as a hump day special?—and regular menu items include a pork belly sandwich topped with Moroccan barbecue sauce. Wildwood has some of the best beach volleyball courts in town, which is another reason to find a table on the patio. You won’t find many hotel restaurants with beach volleyball courts, but Wildwood (at the Kahler Apache Hotel) enjoys pushing the envelope. Inside, there are trophy mounts on the walls, pool tables, pull tabs, and lots of TVs tuned to sports. You could put smoked gouda on an old sneaker and I’d eat it—everything tastes good with a dark amber gouda. 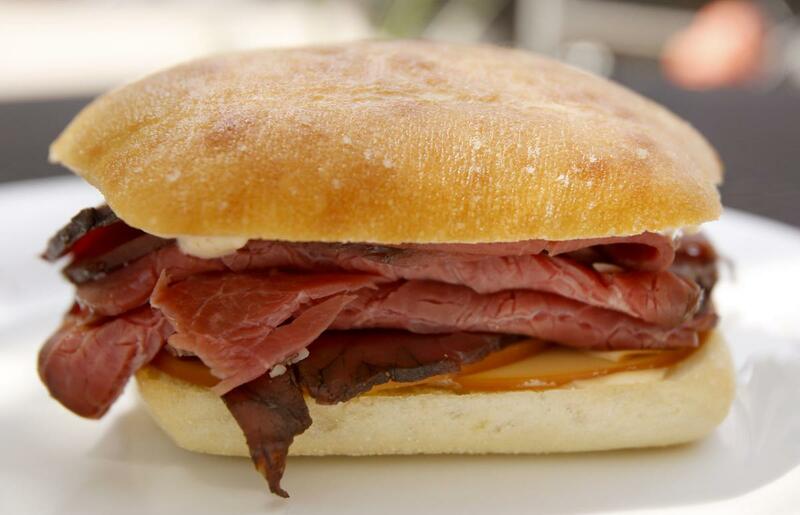 And at City Market, they sneak in a discreet dose of chipotle mustard that’s just the right combination with the cold roast beef piled on whatever bread you like. Depending on how you count and what the specials are, there are 35 hot and cold sandwiches on the blackboards at City Market. With seven options for bread, seven cheeses, and nine spreads, that would yield 441 combinations if my calculations are correct, and assuming you don’t double up on some fixings. In any case, every visit can be new and different, even without factoring in the array of house-made salads, such as black bean and couscous. Think strategically: It’s a daunting menu, and when the deli is packed, the pressure’s on to figure out your order and move along. So have a strategy in mind. You can also call ahead or order online. There’s limited seating inside and a lot more on the sidewalk when the weather’s good. Try one of Rochester, MN&apos;s new restaurants, serving up diverse, delectable tastes of the city!